You are here: Home / Blog / pre-writing / Pre-Writing Skills – Why are they important? Pre-Writing Skills – Why are they important? Pre-writing skills are necessary to master in the early years for many important reasons. Just like children need to walk before they can run, students need to master pre-writing skills before they can have legible and efficient handwriting. early fine motor writing skills are an important school readiness skill associated with later academic success. writing by hand in the early years helps to support the development of reading skills. kindergartner’s visual-motor integration skills predict achievement in reading, math, writing and spelling. In This Age of Technology Why Do We Need Pre-Writing and Handwriting Skills? teachers give higher grades to assignments produced with more attractive writing and that are “easy to read” rather than those produced with less attractive writing. difficulties with handwriting may influence the writer’s attention, requiring them to focus more on the writing and less on the thought process of what to write. 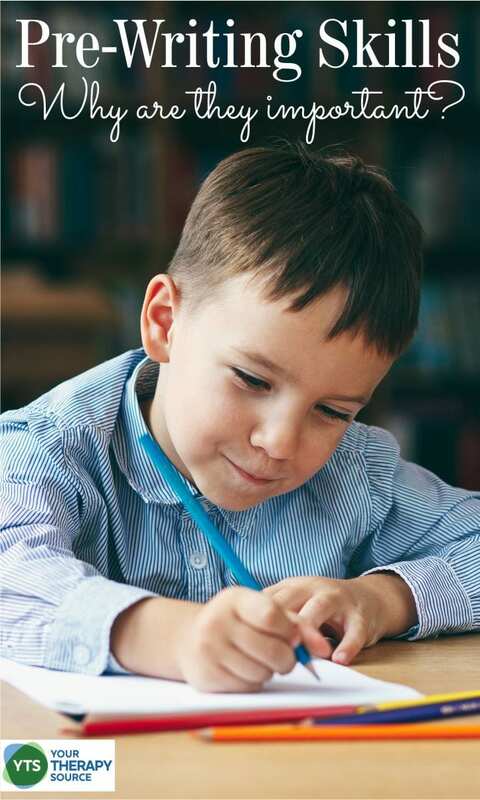 children with handwriting difficulties may develop negative experiences of writing, including frustration, decreased self-efficacy, and poor motivation. 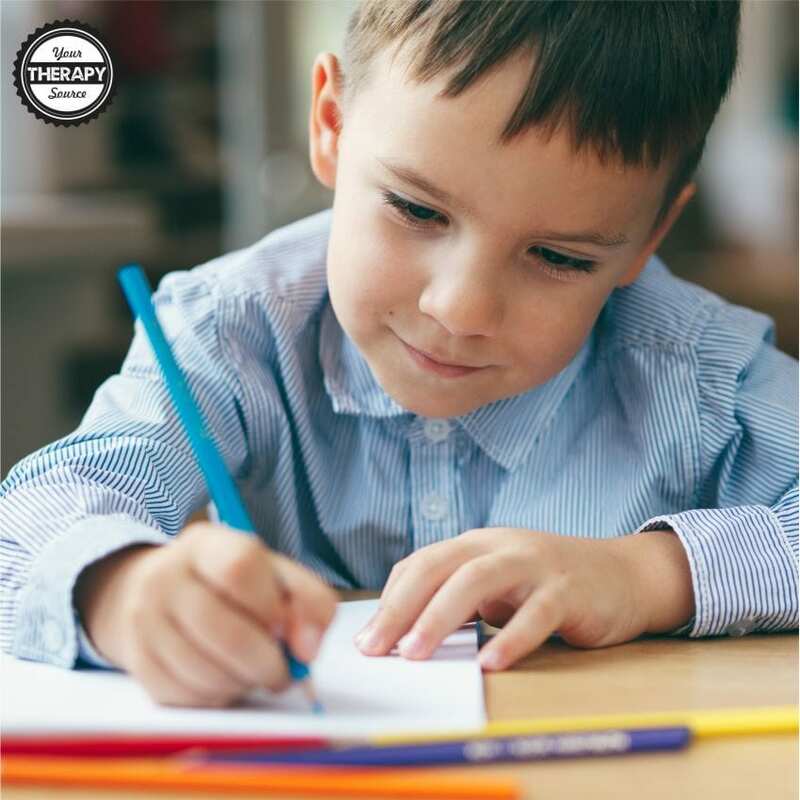 handwriting requires fine motor control and fine motor activities stimulate the prefrontal cortex (part of the brain that helps with self-regulation and executive function). What Can You Do to Help Children Develop Pre-Writing Skills? There are many activities that can help children develop pre-writing skills. It is important to remember to encourage children to play and interact with real world objects throughout the day to help develop fine motor and visual perceptual skills. In addition, children need gross motor play, outdoor time, and physical activity to develop the postural control necessary for pre-writing and handwriting skills. fine motor skill practice: lacing beads, play dough, interlocking building blocks, finger games, craft projects, buttoning, and more. free time to scribble, draw and interact with pencil and paper. 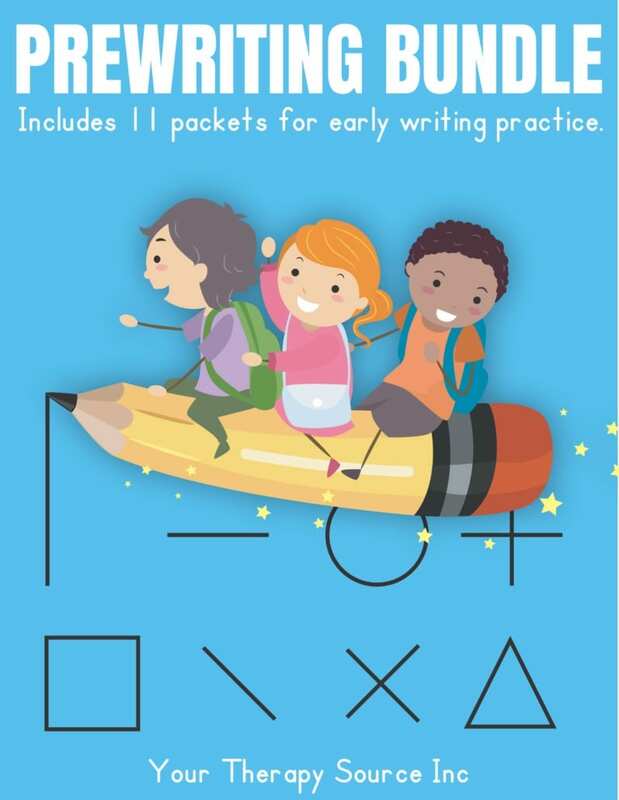 The Prewriting Bundle includes all 11 digital downloads to provide prewriting practice for early writers. 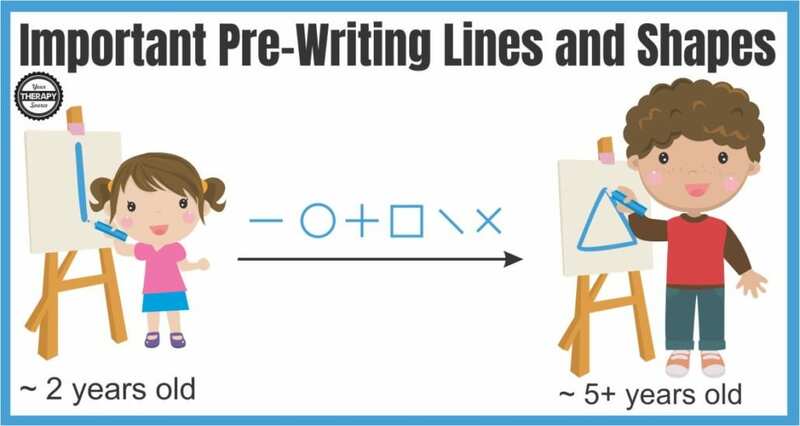 Start students on the right path to form good writing habits prior to letter formation or use to practice the skills necessary for legible handwriting. Reference: Dinehart, L. H. (2015). Handwriting in early childhood education: Current research and future implications. Journal of Early Childhood Literacy, 15(1), 97-118.